Vietnam has called for help from Singapore, Indonesia, Malaysia, Thailand and Cambodia to search for 10 fishermen who have been missing since December 2018. The Office of the National Committee for Disaster Response and Search and Rescue on January 15 requested the Consular Department under the Ministry of Foreign Affairs to send official dispatches to the embassies of these countries, asking for assistance in the search and rescue efforts. 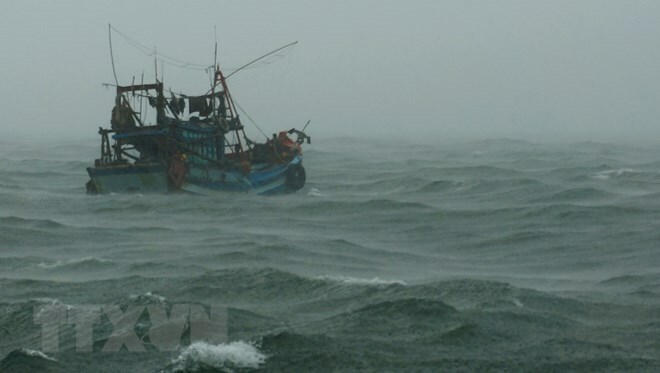 The Vietnam Maritime Search and Rescue Coordination Centre continued asking its counterparts from these countries to inform fishing vessels operating at sea about the missing fishermen so as to help with the search and rescue. Ship KH 90208 TS with 10 fishermen aboard was reported to leave Hon Ro port in Nha Trang city, central coastal Khanh Hoa province, on December 27, 2018, and last contacted on December 29, 2018. Ship BV 95838 TS reported that it discovered the sunken KH 90208 TS with only its prow seen above the water at 10:40 on January 11.